“All I know is the Army/Navy/Air Force” – That’s your job, not your skill set. What you do know is how to organise yourself, follow orders, process information quickly, and most importantly, you’re disciplined. You’d be surprised how rare those skills are in civilian life. “It’s ages since I trained to do anything” – There’s no time like the present, especially if you take a course that not only gives you a trade but offers high-quality training and the marketing tools and access to job opportunities you need to launch your new career. “I’m not good at studying” – You don’t have to be. Following a course with a career progression plan, and with practical training in small groups means that you’re far more likely to take in information and to pass. “I’m too old to do something else” – Yes, we train 18-year-olds, but they’re not the only people we train; our oldest career-changer was in their 60s! 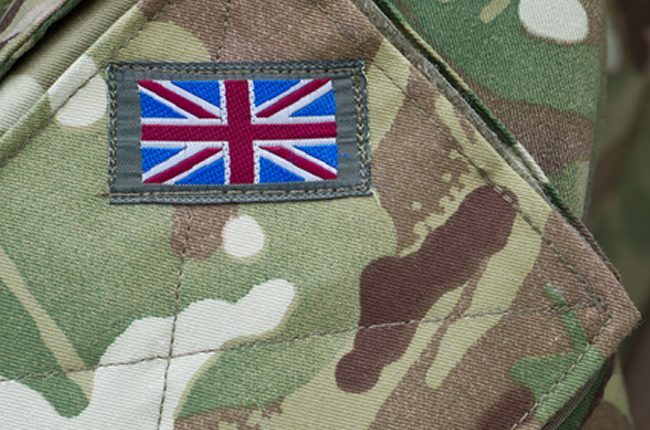 “I’m not sure I can afford a lump sum for training” – All ex-armed forces personnel receive a discount on our courses, plus we offer finance packages so you don’t have to pay your entire course fee all at once. Ex-armed forces training is something we specialise in, so you have the guarantee that we will work with those skills to show you that you already have what it takes to learn a new trade and pass those exams. And our pass rate is 99%. At Options Skills, we train new trade entrants to become gas engineers, electricians, and plumbers. We own and operate our own training centres in London and Birmingham, so it’s convenient for you. If you’re still not sure, we operate an open door policy. Come along and make sure it’s the right thing for you. We’re also proud to be signed up to the Armed Forces Covenant. We not only understand where someone leaving the forces and looking to retrain is coming from, we understand exactly what support they need to make a success of their future career. What if I’m the 1%? Somebody has to be, but if that’s you, you haven’t blown your chances. At Option Skills, we offer free exam resits and extra training to help you pass, and make sure you’re really solid on that new knowledge. After all, you don’t know until you’ve tried something whether you’re any good at it or not. And being ex-forces, we already know you’re not a quitter. Find out more about our gas courses, electrical training or contact us on 0800 802 1306 to speak to our dedicated course advisors about your options and advice on how to train with us. Discover one of our previous ex-forces trainees, and listen to his experience of training with Options Skills.